A DRIVER is in hospital in a critical condition after a crash in Northfield in the early hours of Saturday morning. The silver Land Rover was travelling towards Northfield town centre along Shenley Lane when it crashed into a phone mast near the junction of Meadow Brook Road. The 39-year old driver was trapped in the vehicle. After being released, he was treated for multiple serious injuries and was taken to Birmingham’s Queen Elizabeth remains in hospital in a critical condition. The 30-year-old back seat passenger was also treated for multiple injuries and remains in hospital in a stable condition. A 25-year-old front seat passenger was treated at the scene for multiple injuries but was released from hospital later in the day. The road was closed for several hours. Sgt Alan Wood from West Midlands Police’s Serious Collision Investigation Unit said the probe into the incident was still in its early stages and officers were trying to establish why the vehicle left the road. He added officers were reviewing the CCTV and had established that another car was in the area of the collision, travelling in the same direction. He urged the driver of the vehicle to contact the police as he could hold valuable information about what happened. 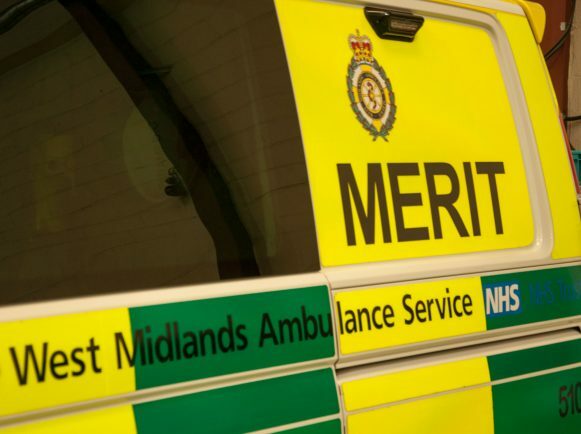 A West Midlands Ambulance Service spokesperson confirmed three ambulances, a paramedic officer and a MERIT Trauma Doctor were sent to the scene. and three people were taken to Birmingham’s Queen Elizabeth Hospital. Anyone else with any information on the crash should call police on 101 or Crimestoppers on 0800 555 111.